My daughter has been bugging me for months now about her birthday. 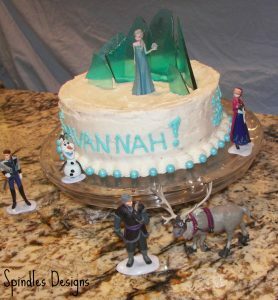 She has wanted an Elsa cake the entire time, and has been just dying to have it. Her birthday finally came and we made the cake. I found this great idea from TwoSistersCrafting. 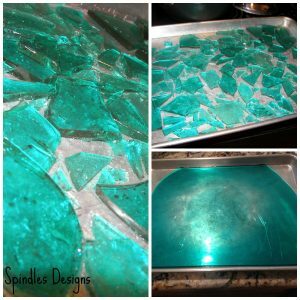 I thought it was great, it included a link to sugarhero.com to make the “ice” candy. 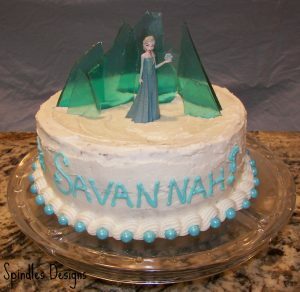 The cake turned out great! My daughter loved it! She is still playing with the little figurines. 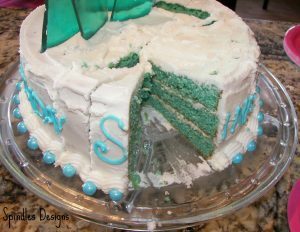 We of course also took the cake one step further and the cake itself was teal. We have a lot of family with birthdays in May, so we had to do a big family party as well. 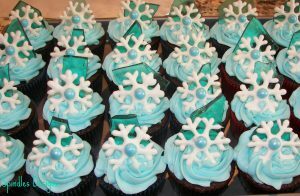 To keep up with the Frozen theme, I made cupcakes with the left over “ice” candy and little snowflakes. January’s dreary cold days are hard for me. There isn’t much to look forward too and I even have a birthday coming up. The hard part about January birthdays is – What do you want for your birthday? I never know, because we just had Christmas. Could you please ask me in July, because by then I have a whole long list for you. Another icky part of January birthdays is it snows and usually on my birthday. Now this would be great if I was in to skiing – but I’m not. The older I get the less I like the snow. Unless its for Christmas, but please melt right after. I know, I know I can’t have it both ways. Okay enough whining. This is my solution to this years dreary days of January. 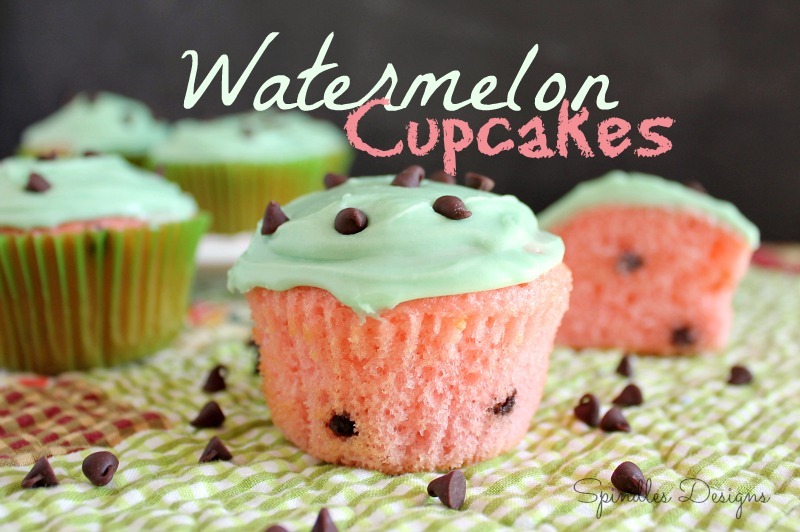 I’m having Springy, yummy, watermelon cupcakes. 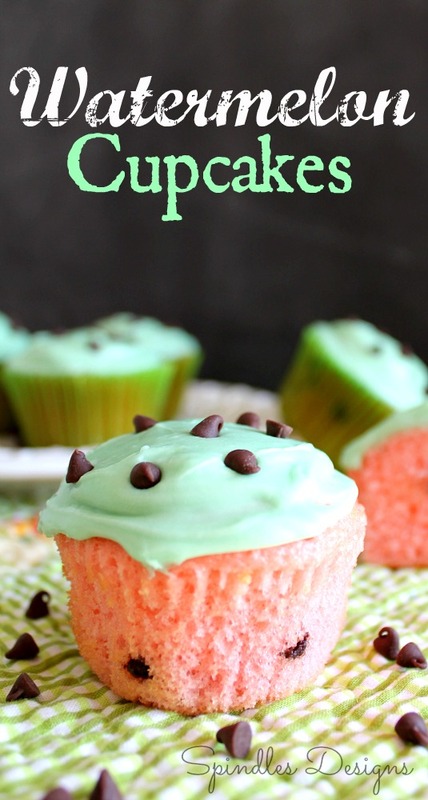 These watermelon cupcakes are not watermelon flavored they just look like watermelons. I didn’t go too crazy. I made the cupcakes with Betty Crocker’s Strawberry Cake mix and topped them with my favorite buttercream frosting. Mix Strawberry Cake Mix together following directions on the box. 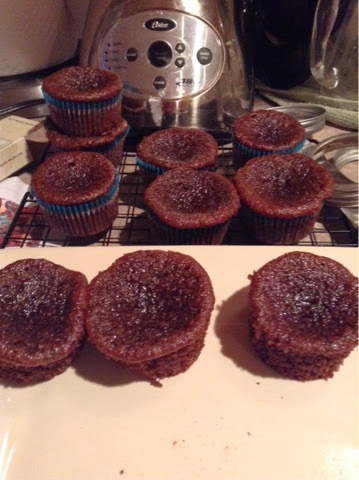 Place Green Cupcake Liners in Muffin Pan. Fill each about 2/3 full. 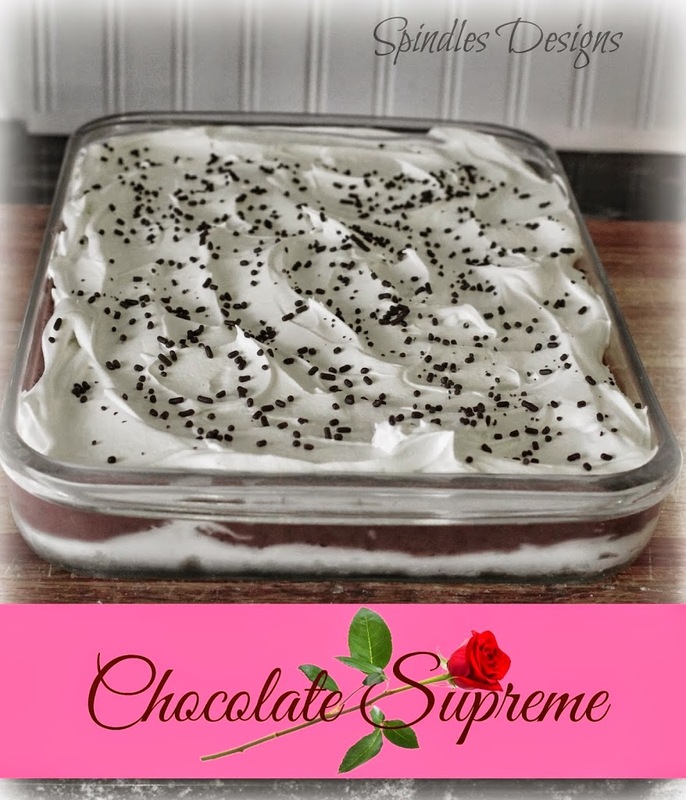 Sprinkle a few Mini Chocolate Chips into cake batter. 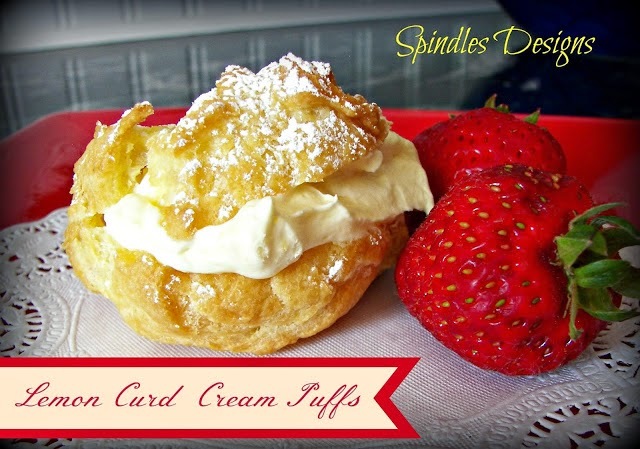 Stay warm everyone and enjoy a little summery treat! 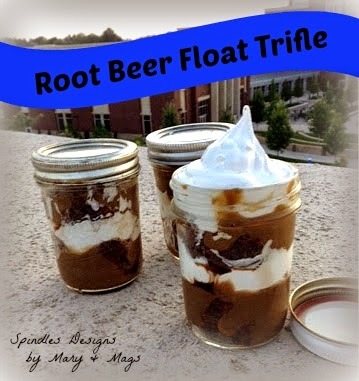 My original plan was to make Root Beer float cupcakes… but my cupcakes fell below the bar… Literally. They fell, it was awful! I could not fill them, just putting frosting on made it so there was way too much frosting, I could do nothing, but eat them as they were. I was a bout to give up and get rid of them when it hit me… Trifle. No one knows what the cake looked like, it doesn’t matter as long as it tastes good (which the cupcakes did). The one problem was I could not use my traditional trifle dish, we were taking these with us to watch fireworks for the 4th of July. 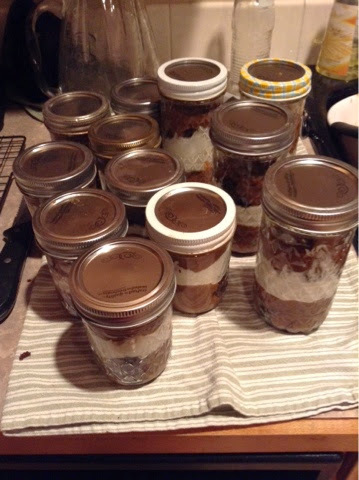 I thought and thought and I have been watching everyone use mason jars for things and I have a bunch of them, so into jars the trifle went. 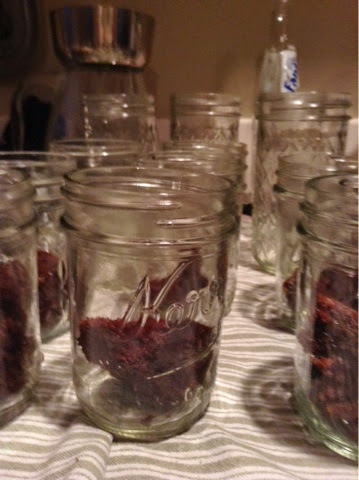 I have an odd assortment of jars, so they were not all the same, design or size. Although not my original plan, they were a hit! 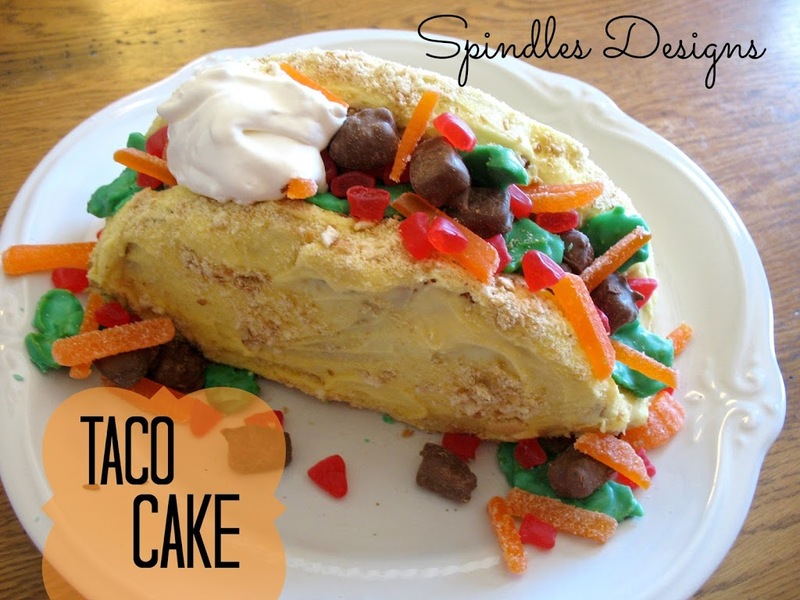 The family thought they were so much fun and enjoyed eating them. 1. Mix vanilla pudding according to package directions add 2 – 3 tsp root beer extract (make sure to taste it so there is enough in there). 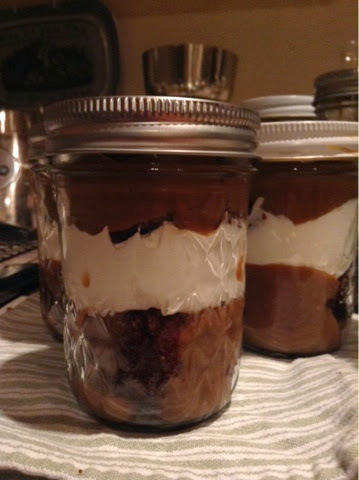 2. cut up the 12 cupcakes put about 1/2 cup cake in the bottom of each jar then layer with pudding and whipped topping, repeat. 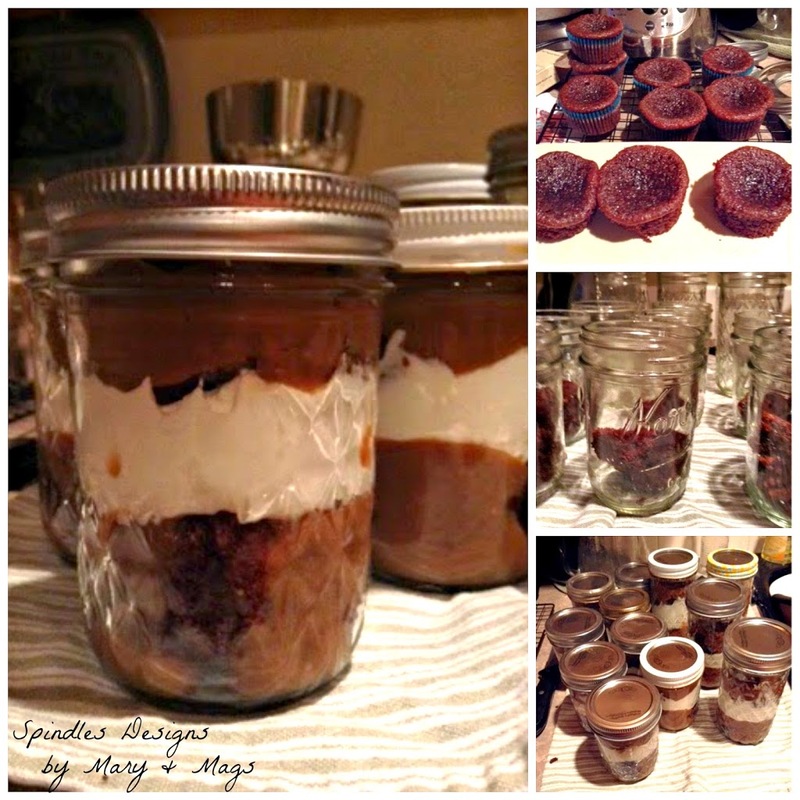 I only got two sets of layers in each jar. 3. If traveling with trifle, leave the top layer of whipped topping off and cap with a lid. Once at final destination just before serving top with whipped topping. I’ve always been a little behind the times. I don’t usually see movies at the theater and my clothes are a few seasons behind. I have no idea what’s on t.v. these days and I had no idea what a Minion was. 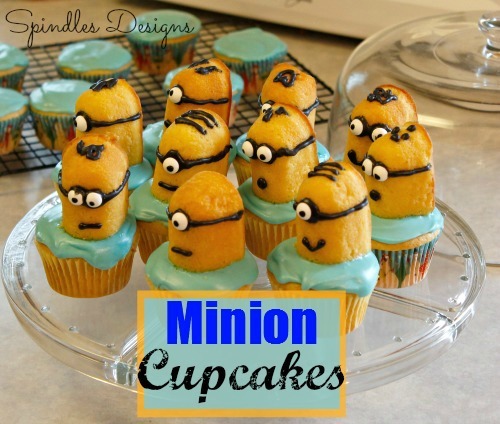 I saw Minion Cupcakes on Pinterest and thought they were strange. My brothers talked about Despicable Me and Despicable Me 2 and they meant nothing to me and I didn’t even know Minions and the movies were related. Well…my husband rented movies one night and since we have 3 little ones at home we watch a lot of kids movies. He brought home Smurfs and Despicable Me 2. So we sat down to watch after a small fight of what are we going to watch first. Despicable Me 2 won, somehow throw 3 and 5 year old logic and compromises. I loved it. 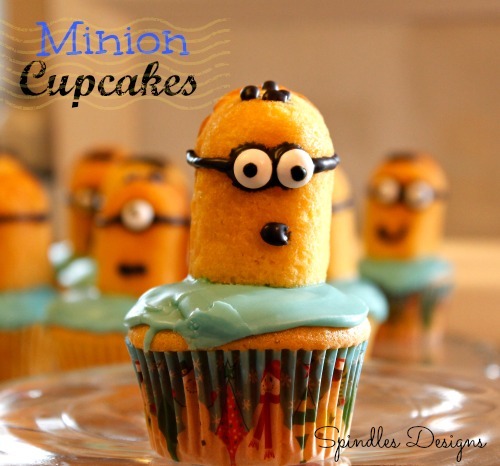 All of sudden those weird Minion Cupcakes on Pinterest were so cute. 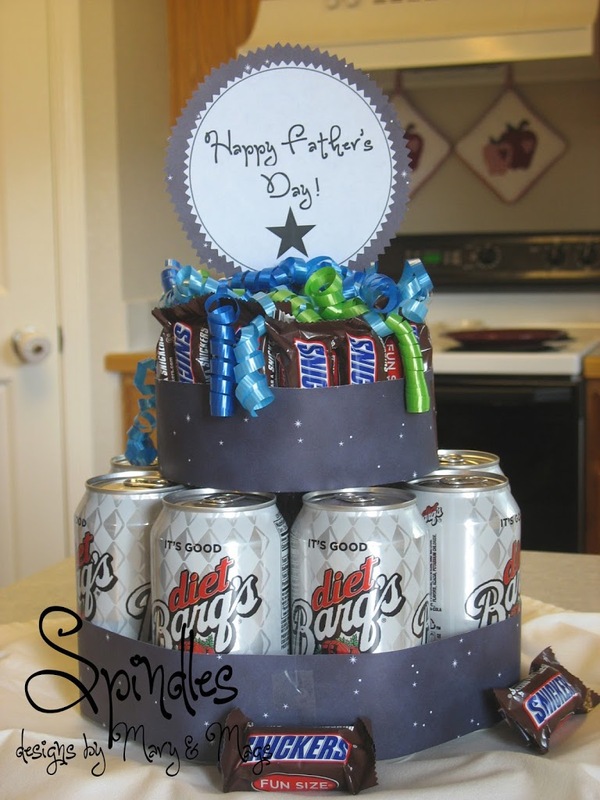 The kids and I liked them so much we decided to make them for my husbands birthday. He thought they were great. My kids loved helping my make daddy’s birthday cake. 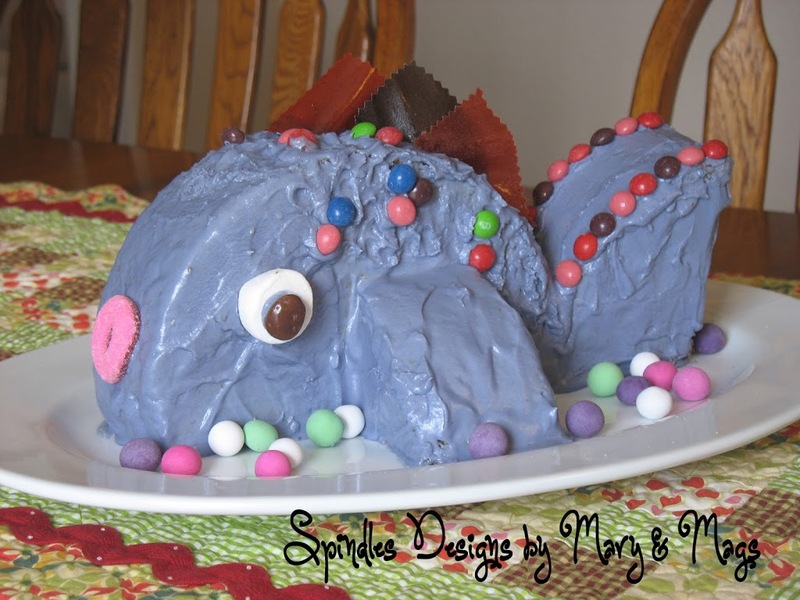 They are so easy I felt almost bad that I didn’t spend more time on my Hubby’s cake. Cut the Twinkies in have and decorated like your favorite Minion. 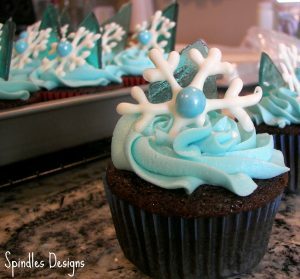 While you let the Minion frosting set frost your cupcakes. 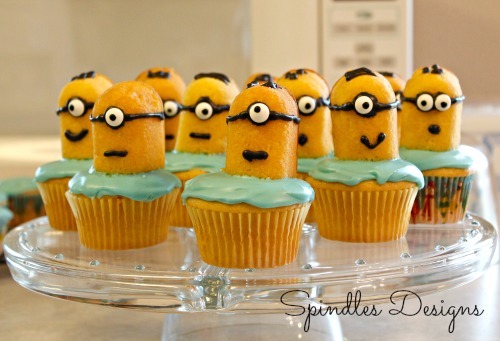 Place Minions on cupcakes before frosting sets.